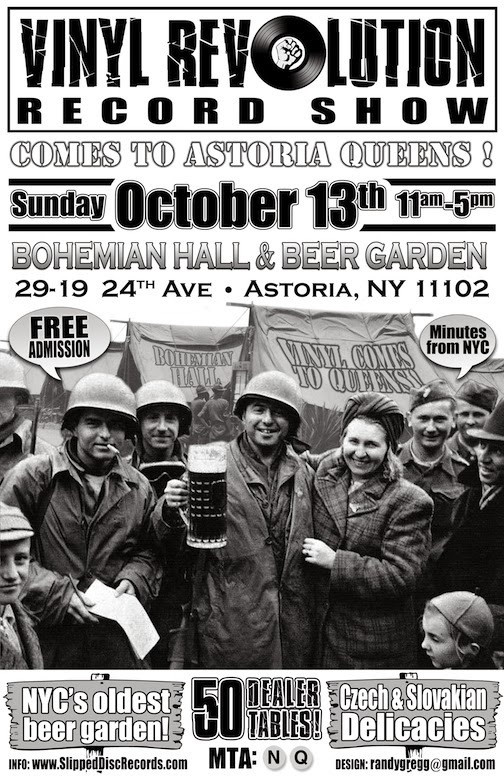 If you haven't already noticed the subtle flyer to your right, I want to use this opportunity for the first of a few plugs for the Bohemian Hall & Beer Garden Record Show coming up in Astoria, Queens on Sunday, 10/13. 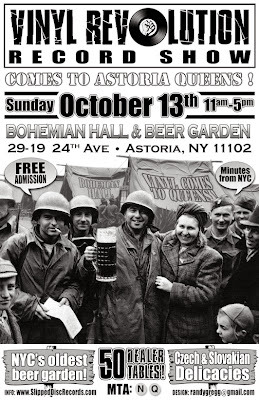 I will be there behind a 12' table with lots of goodies! If you're in the area, please come by. The show is from 11-5. If you're looking for anything special, please let me know. Please save the date and come say hi! On the one hand, I hope the experience is swell, but on the other, that will make for a dull post sometime next week. I'm sure it will go well, and that there will be an anecdote worth sharing.